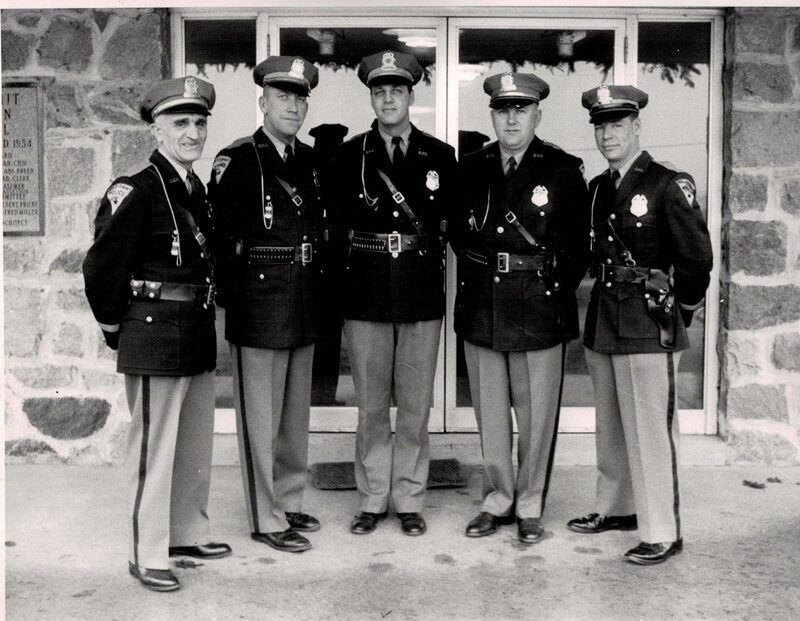 On November 15, 1930 the Summit Town Board appointed Raymond “Tiger” Reich as the first full-time law enforcement officer. He was always accompanied by his dog, Thunder. In 1931, the town board decided to purchase a “motor patrol”. It cost the town $575. It took many trips to Waukesha, due to having no radio communications. Finally in 1940 a two-way radio was put in the squad to communicate with the Sheriff’s Department and it cut down on trips to Waukesha. It was not until 1953 when the town’s population rose to 1000, that the Town of Summit hired another officer. Jake Ellsworth was hired part-time for $1.50 an hour. The following year he became a full-time officer. 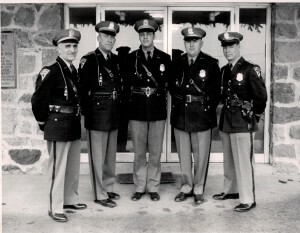 In 1956 Edward Greenwald was hired, and became the fourth full-time officer. February of 1963 saw the passing of Tiger Reich at the age of 64, and Ed Greenwald became Summit’s second Chief. Filling the openings on the department were James Schuyler and Phillip Braatz. The Oconomowoc area was shocked, when in 1975, a 16 year old ambushed Robert Atkins and Wayne Olson. The officers were killed as they entered their squad in front of the Summit Town Hall. See our memorial page for more information. Chief Greenwald retired in 1985. Sgt. James Schuyler, a lifetime Town of Summit resident, was promoted to Chief. The department grew to a staff of six, in keeping up with rapid development of the town. Chief Schuyler was innovative in his tenure. He brought the very first mobile data terminals (squad mounted computers) to the area. He also changed from a traditional revolving type light bar to the now popular strobe light bar for patrol vehicles. After Chief Schuyler decided to retire, following 30 plus years of service to the Town, James Race took over as Police Chief. Chief Race served as Chief until his retirement in 2013. During Chief Race’s tenure the Summit Police Department entered into an agreement to provide police services to the Village of Dousman. Michael Hartert is the current Chief of Police. With a staff of 10 full-time officers, and several part-time officers, the Summit Police Department continues to provide police service to the Village of Summit and the Village of Dousman. The department has officers on duty 24-hours a day. The Village of Summit Police Department looks forward to the future, and will continue to strive to bring the best quality police service to the residents of Summit and Dousman.